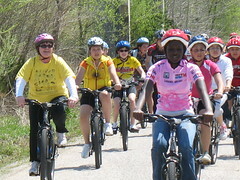 I hope you'll consider joining us for a ride with Missouri legislators and officials on the Katy Trail on April 19th. 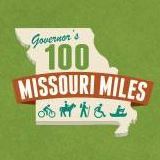 It's a great chance to meet your Missouri legislators and elected officials, and introduce them to the Katy Trail. Also--please take a moment to email or call your own state legislators and invite them to the ride. You can look up their contact info here. The ride is free, but please RSVP director@mobikefed.org so we'll have an idea of how many are planning to ride. We're planning a one-hour, out-and-back ride on the Katy Trail, heading west from the North Jefferson Trailhead, at a moderate pace, starting at 1PM. This event sponsored by a generous contribution from Pat Jones.